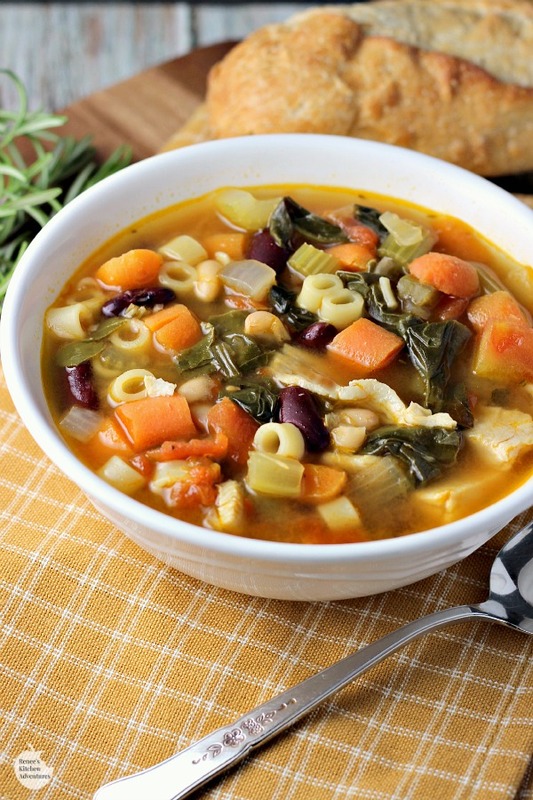 Turkey Minestrone Soup is a wonderfully flavorful way to use up those holiday turkey leftovers! A healthy combination of fresh veggies, canned beans, pasta and that leftover turkey you have! I mentioned yesterday that I have a ton of turkey leftover from Thanksgiving, so I have been feverishly working in the kitchen to find lots of tasty ways to re-purpose it! This soup is a GREAT way to turn that turkey into something entirely different AND since it's a nice healthy recipe, make you feel a little less guilty about indulging over the holiday weekend! This soup is SO good! It's got a ton of flavor and texture, which is always a bonus. It comes together pretty easily too. Besides using up some turkey, I was also able to use up some of the leftovers from the veggie tray. The carrots and celery are the last of what I had leftover and given new life in this soup. On a side note, I did use chicken stock for a deeper and richer flavor in this recipe, but chicken broth is fine to use too. If you are not familiar with Swiss chard, don't be afraid of using it in here! It is such a wonderfully mild green that has a taste similar to spinach. It holds up better than spinach, so it's perfect for soups. You can use fresh spinach in place of the Swiss chard if you like, but if you can find it, give the Swiss chard a chance! I hope I've inspired you a little this week to turn some of those leftovers into new and delicious dishes to enjoy! Give this diet friendly, budget friendly, warm and comforting soup a try! You can also leave the turkey out for a satisfying meatless soup if you like. 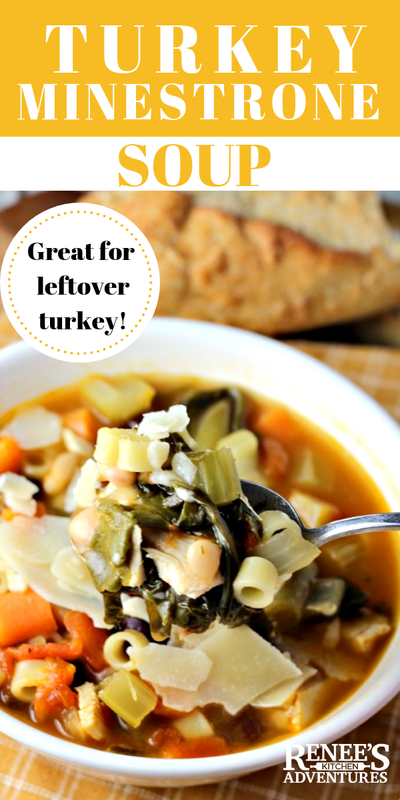 A wonderfully flavorful and healthy soup and a great way to re-purpose your turkey leftovers! 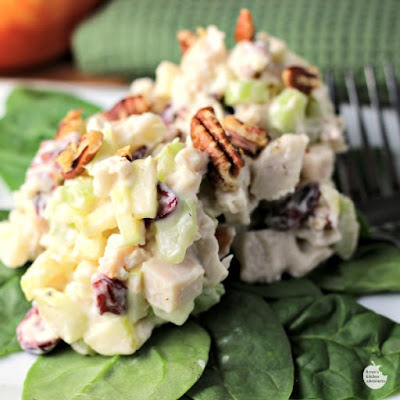 Also great meatless without turkey! In a large cast iron dutch oven or large pot, heat the oil on med-high heat until it begins to shimmer. Add onions, celery, and carrots. Cook for about 5-10 minutes, or until the onions become translucent. Add the garlic and dried rosemary and cook for another minute or so. Once the veggies are tender, add in both cans of beans and stir. Bring broth back up to a low boil, without cover, and add in the dried pasta. Cook for another 8 - 10 minutes or until the pasta is tender. Add in the turkey and heat through. Turn off heat. Take out the bay leaf and discard. Taste for salt and pepper, and add as you like. Finish soup with the apple cider vinegar. Ladle into bowls and garnish with Parmesan cheese, if desired. Cook time: 01 hrs. 30 mins. 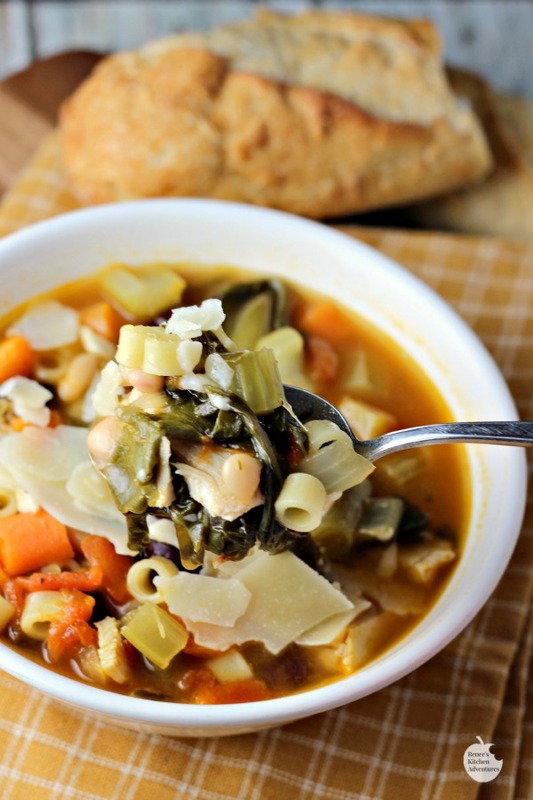 I love how healthy this soup is and a scrumptious way to use up those leftovers. Welcome to Yum Goggle! We are now following you on all your social media and we hope you do the same. We will try to tag you each time we promote your post. Kelli at YG! This soup looks comforting and delicious. I've never tried swiss chard in soup before, will have to. This soup looks amazing! 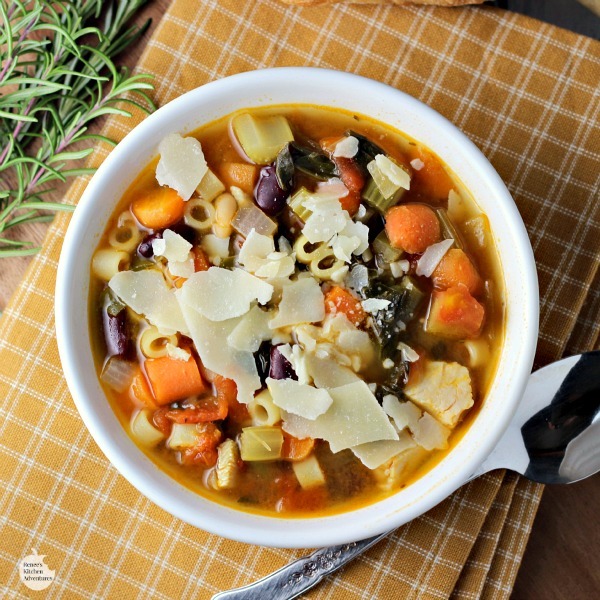 This minestrone sounds like the perfect way to use up all of that leftover turkey! :) And we had SO much leftover this year too. This looks so good! I will have to try making this in my slow cooker. 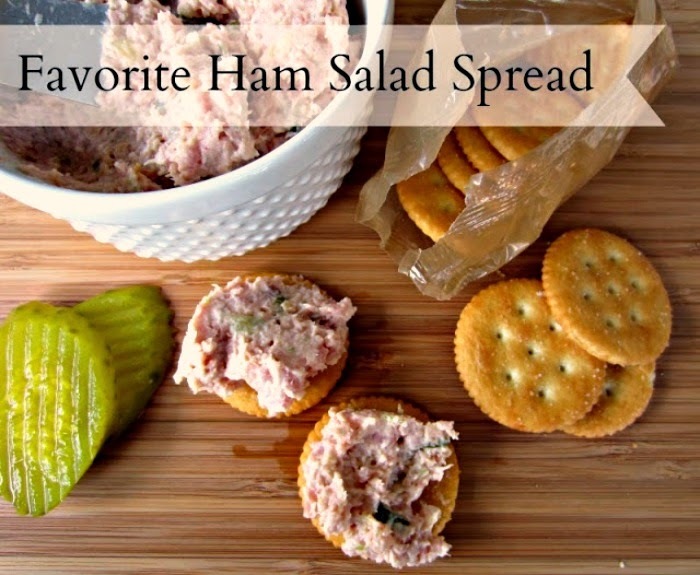 Great way to use up the leftovers! This looks so warm and comforting! I love all the veggies you added to this soup! This was fantastic! My kiddos and hubby loved it. Thank you so much for sharing. (we also made homemade bread with it) Perfect chilly Spring evening meal. Thank you Kari for your lovely review! Nothing goes better with soup than homemade bread! Great call!